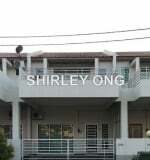 Mutiara Villa Condo is located at Gurney Drive neighbouring with Sri Pangkor, Danauria, City Residen. The Waterfront Condo is located at Tanjung Bungah neighbouring with Surin, Twin Tower, Mutiara Villa. Sri Perdana condo is located at Georgetown neighbouring with Mansion one, Sri Pangkor, Mutiara Villa.